Adult Phalaropes are very special. Adult female Phalaropes are amazingly, super special. 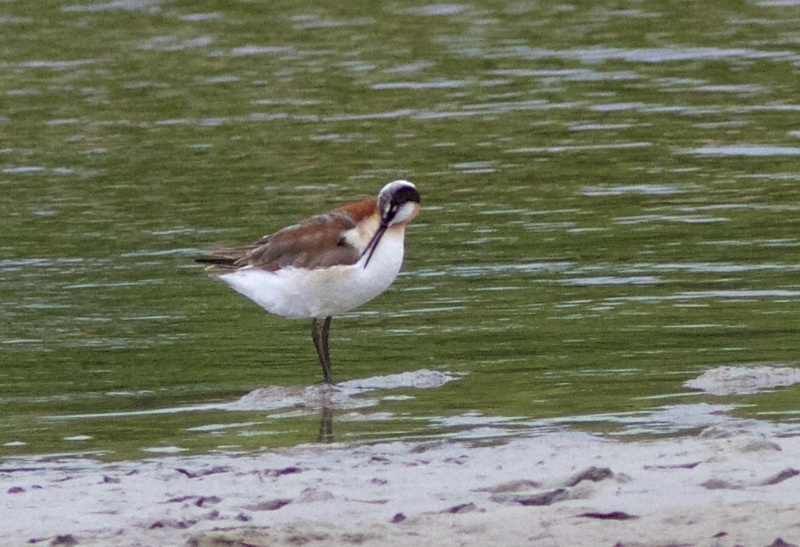 Adult summer female Wilson's Phalaropes are on top of the tricolor scale of specialness! You guessed it - I've just returned from watching the Wilson's Phalarope on the Isle of Wight which originally started out as day trip but ended up as family mini-break! I somehow persuaded Mrs B that visiting the Isle of Wight on a school inset day with the kids would be a good idea and much more fun than a typical family day out to Legoland or Thorpe Park, so before she had time to change her mind, the ferry was booked, accommodation arranged, bags packed and we were circumnavigating the M25 and heading south-west down the M3 towards Lymington and the ferry - and before the end of the day I was watching the sublime adult female Wilson's Phalarope on the Old Station pond in Yarmouth. 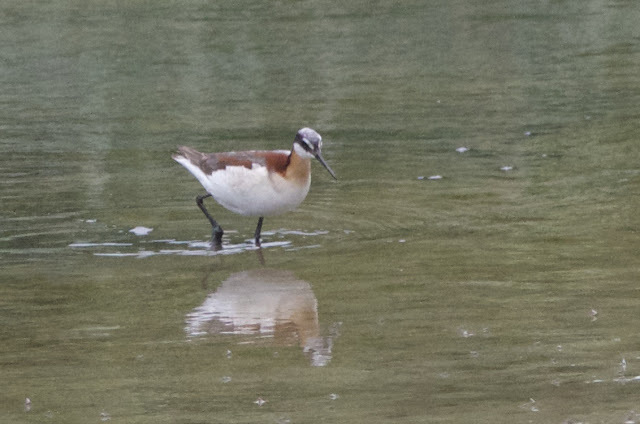 This North American Phalarope certainly lived up to expectation, always on the move with a somewhat inability to stand still, constantly moving that colourful small head and directing its black needle-point bill at what seemed like every moving aquatic invertebrate on the pond. 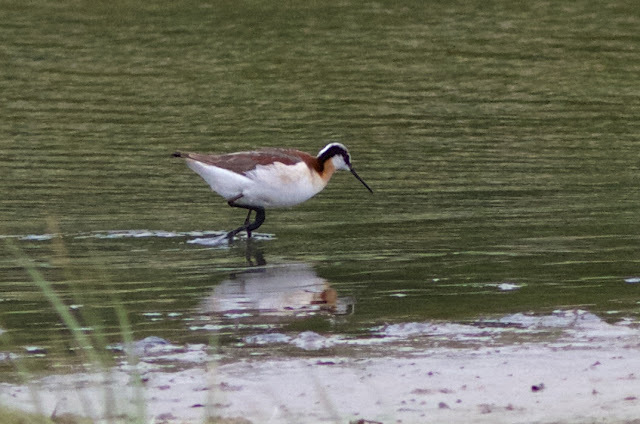 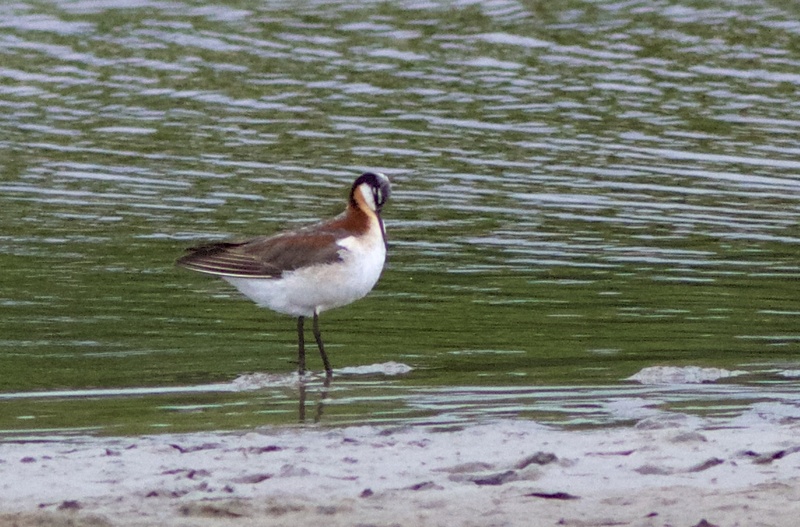 Although it did swim Phalarope style occasionally it was more wader like in its movements, mostly using those long black legs to wade into the water, frantically feeding along the muddy fringes of the pond. This hyper-energetic bird was easily spooked by any offending noise (dog barking, gates closing) and flew around the pond on a couple of occasions showing off its broad white-rump against a rather plain looking back and wing pattern but always returned to the safety of the sedge enclosed pond - this dad was enjoying the Isle of Wight very much! 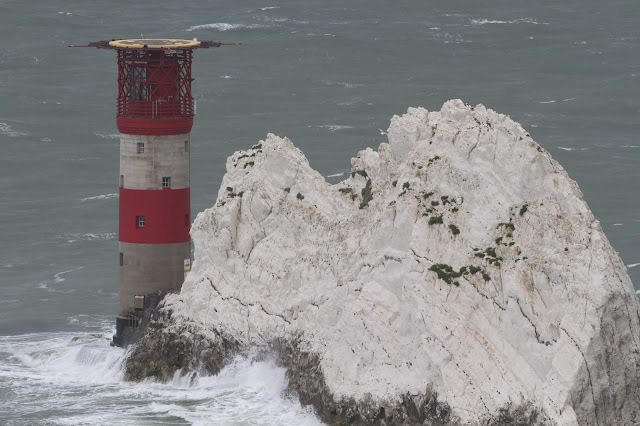 And just to prove the weekend wasn't just about watching a Phalarope, here's a picture of the most westerly of the three Needles photographed from a very breezy Alum Bay - enjoyed by all the family. 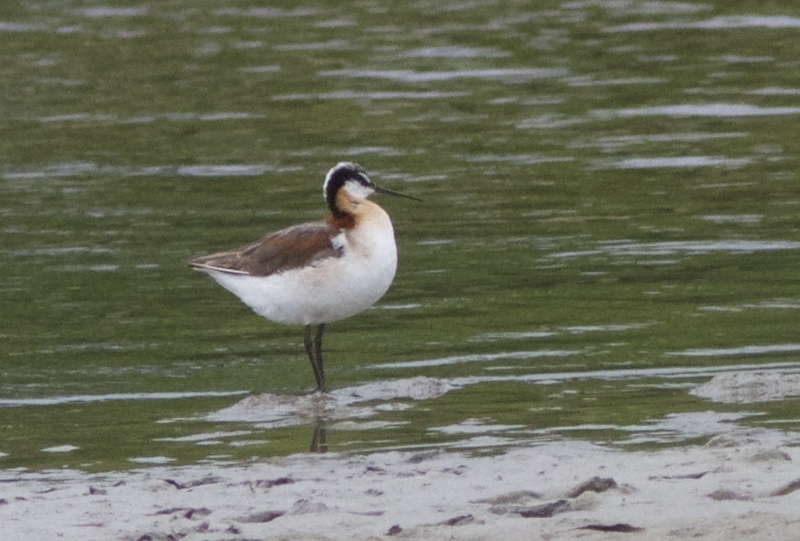 After exploring and enjoying the delights of the Isle of Wight over the weekend we returned late Sunday afternoon to Yarmouth harbour to catch the ferry back to the mainland, but I couldn't leave the island without popping into the Old Station pond for just another quick look at this rather special bird.